Two flushmount Luxe Wedding Albums of Calamigos Ranch wedding photography. The top album is a parent album with a black leather cover and one cover photo collage. 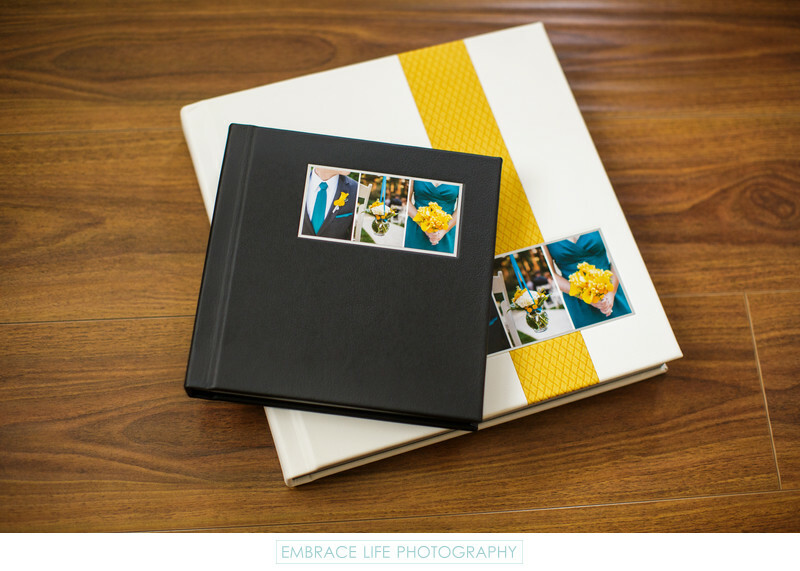 The bottom album was for the bride and groom and features a white leather cover with a stripe of yellow woven fabric and one cover photo collage.